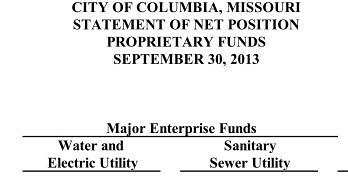 COLUMBIA, Mo 12/3/14 (Beat Byte) -- At nearly $74 million as of 2013, Columbia City Hall's Unrestricted Water and Light Fund is the largest pool of cash and liquid investments (CDs and such) readily available for virtually any city government project. The money sits in banks and other financial institutions where it can be loaned to developers and student apartment builders, while the ratepayers who provide it can't touch it. 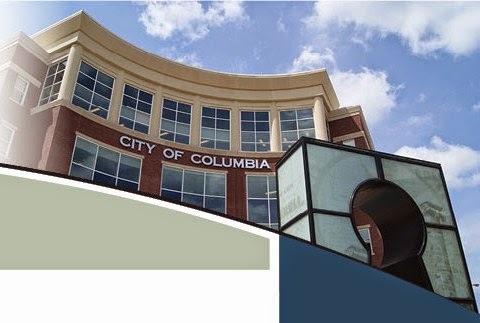 For readers wondering why Columbia City Hall a) claims it has no money for new infrastructure, police officers, and firefighters; and b) raises utility rates every year without fail, the answer should be clear: city administrators siphon off millions of dollars that should be alleviating these problems. Instead, they place it with banks and investment advisors for questionable uses. City Council members, meanwhile, neither read nor understand the city's financial reports, 4th Ward Councilman Ian Thomas told the Heart Beat earlier this year. "We defer to staff (i.e. city administrators) for most of that information," he said. Senior city staffers have their own ideas about how to spend the money. In a plan that sparked outrage, deputy city manager Tony St. Romaine wanted to spend Unrestricted Water and Light funds on "shovel-ready" land north of town, for "future development". City manager Mike Matthes suggested using the money to buy the old Ameren site in downtown's North Village Arts District. Neither man sought nor received City Council or citizen approval before going to the media with their plans. 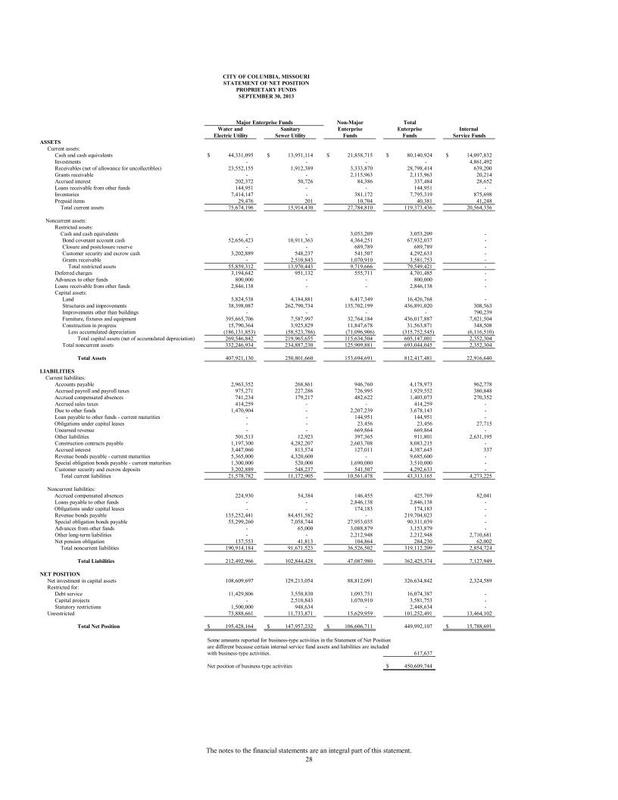 The Water and Light Unrestricted Fund appears on page 29 of city government's Comprehensive Annual Financial Report (CAFR) pictured below (click for larger pic). 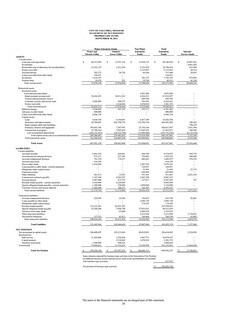 Page 29 lays out the net worth, known as "net position" in government accounting, of the city's "Major Enterprise Funds," monies made and spent through an enterprise (in this case, utilities). As of 2013, City Hall's Water and Light Department had $108.6 million in "capital assets" -- power lines, water pipes, land, buildings, and so forth. In cash and liquid investments, it had $11.4 million restricted for debt service and $1.5 million restricted restricted by law, which may include state and federal mandates. 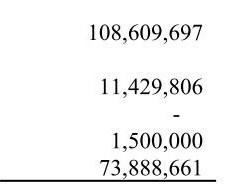 The rest -- $73,888,661 -- sat idly in the Unrestricted account, not doing any of the three jobs our City Charter says it must do. Meanwhile, city officials continue stoking the debate about where to find money for police, firefighters, water lines, power equipment, sewer lines, and so forth. So far, their suggestions -- from downtown TIFs to higher taxes -- have uniformly failed. As one of the area's largest depositors, City Hall doesn't want to look in its own bank accounts, possibly to avoid the wrath of powerful bankers and the developers to whom they lend. You are here: Home City Hall Budgets and Finances UNRESTRICTED, Pt. 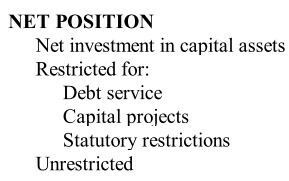 2: Is $74 million in CoMo public money reserved for bankers and developers?